The Christian life starts with simple faith. No longer captive to the world’s forms and structures, the Christian mind must be conformed to Christ. In What We Believe, Dr. R.C. 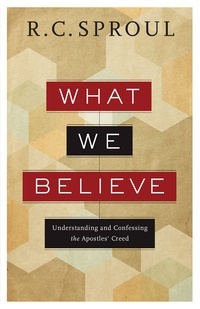 Sproul updates his very first book, illuminating the basic tenets of the Apostles’ Creed. These affirmations of the ancient Christian church remain some of the most important summaries of Christian truth. They are as relevant today as when they were first written. We must know what we believe.